Zoho is a suite that offers product bundles to solve for CRM, workplace, finance, and IT management. What does this integration enable? 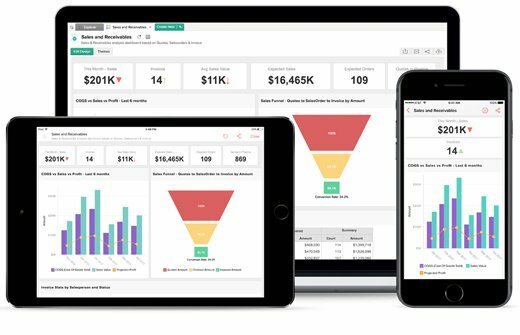 The Zoho Reports integration creates custom, mobile-friendly reports based on your HubSpot data. Simply use the drag and drop tool to easily and quickly create a custom report that suits your needs. How might Sales use this integration? 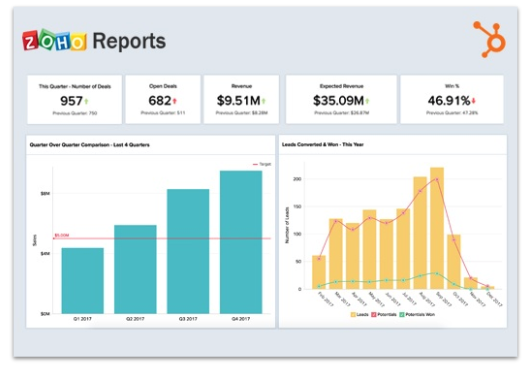 Keep track of your sales performance metrics by using one of 60+ reports and dashboards. You can also create your own reports to track your sales pipeline, visualize your sales conversion funnels, measure sales team performance, and more - all seamlessly powered off of your HubSpot data. Pricing and sign up information for Zoho Reports can be found here. Get started with Zoho Reports here.